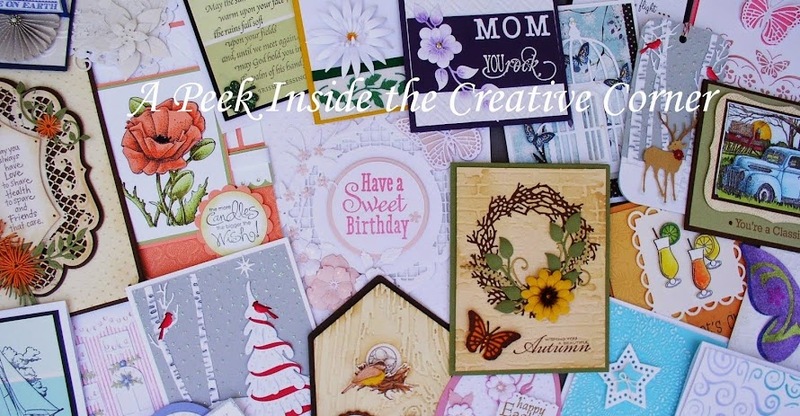 A Peek Inside The Creative Corner: Birthday Cupcakes! Hi All, Hope you are enjoying your summer. We've past the half way point of July :( Boy where does the time fly? I'd like to share with you a birthday card I made for my daughter, Maria, who loves a good cupcake. It's a simple layout, yet it focused on the happiness of cupcakes. I also got to use one of the new border dies from Tattered Lace, which was included in their #17 magazine. 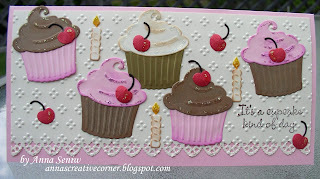 Stamps: Impression Obsession "It's a cupcake kind of day"
Card size: 4" X 8"
Awesome Flower Tags! and a Baby One too!